MrJ and I left our anchorage at Lloyd Island a bit later then we would have normally set sail. Portland Roads was a mere 15n/miles up the seaway and it was a lovely morning to just sit around and answer some emails. Yes we had internet service and phone as well.......! This was due to the rather big radio tower in front of Derry Hill at Port Lockhart which I am told is one of the towers that had been installed for quite a number of aboriginal settlements along the isolated northern coast of Australia. It has something to do with all the hype about the old Salties, Saltwater Crocodiles, and I have been reading up on the dos and don’ts. Last night as I was getting ready for bed in the head, bathroom, cleaning my teeth, when I hear a croc outside my hatch, window. You know that noise that they make; like a throaty rattle. Well that was enough for me; I slammed the hatch closed and wet to bed. Whatever gave me the idea that a croc could climb up or jump through the small hatch? Was I spooked or what! And I heard it again through the hull of the boat. Yikees! Sailing and motor sailing to Portland Roads we passed a couple of other boats heading south; two large ships, one was the Trinity Bay which services Cape York with supplies, and our mate Steve on Velinin (not too sure of the spelling). Steve had just sailed out of Portland Roads when we saw him and gave him a call on the radio. Will catch you in a couple of year matey! We are in and anchored at 1220hrs; the tide is on low so we sit and wait for a bit more tide before going ashore. It is the so-called Saltwater, or Estuarine Crocodile, Crocodylus porosus, or “Saltie” and it is the world's largest crocodile. Although the other one of Australia's two species of crocodiles, the Freshwater Crocodile, Crocodylus johnstoniis known as the Johnson Crocodile, also found in Cape York, the larger, saltwater one is the only deadly one. It is a massive animal that can weigh over a tonne. Adults reach easily up to five to six metres of length, but the largest one ever shot in Australia was eight metres long! Australian Saltwater Crocodiles are easy to distinguish from the freshwater species by their size and by their broad snout- which reflects the large prey those animals eat. They are opportunistic feeders and they often hunt near water's edge, where they catch kangaroos, feral pigs and other large prey. They can take animals as large as buffaloes and cattle - so they can easily kill and eat a human. If I was not on full alert before, I am now! They have good eyesight and good night vision and they are often active during the night time. They also have a good sense of smell, and a good feeling for vibration. They don't need to see, hear or smell you - if you are around; they know it from the vibration in the ground. They breed during the Wet Season (October - April). Female lays eggs in a mound, often in the high grass close to riverbanks. Once the eggs hatch, the female looks after the young for up to five weeks. Despite that, very few survive and reach adulthood. The eggs are threatened by floods, heat and goannas that eat them. The young are so small they can be killed by turtles, fish, birds of prey and other crocodiles. But once they are adult they have nobody to fear except us and each other. 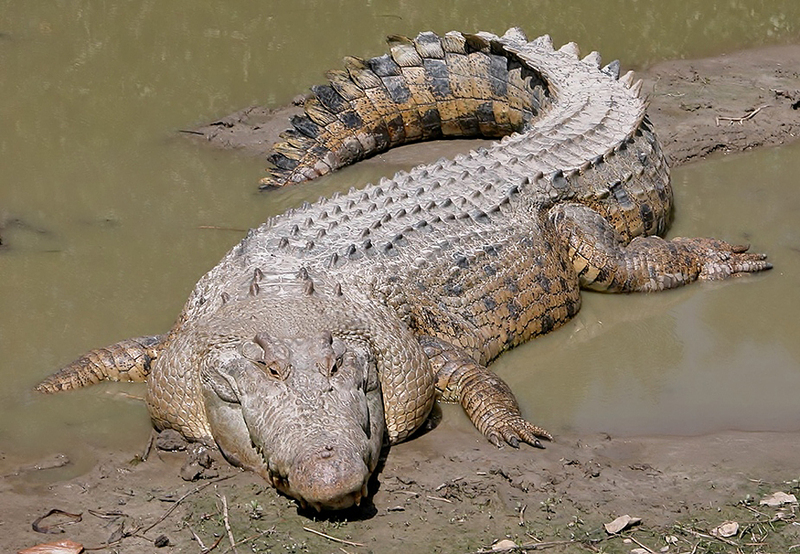 Australian Saltwater Crocodile was hunted a lot until 1974 for their skin. 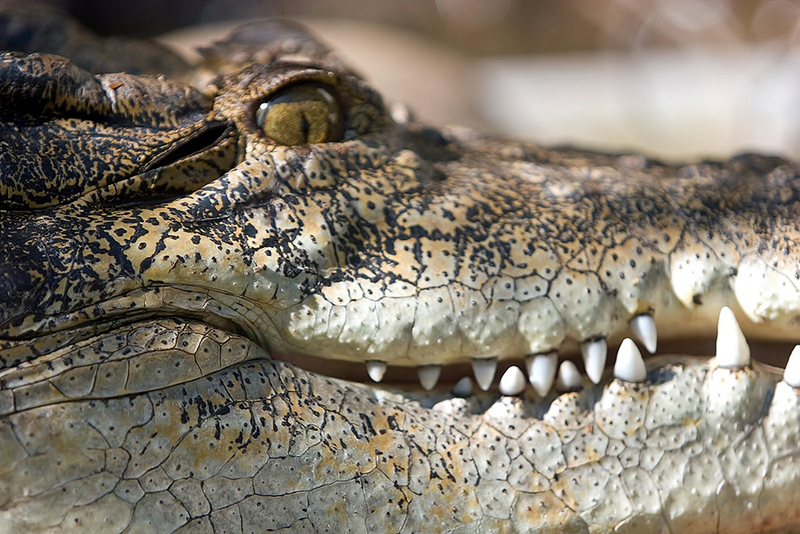 Even today, the skin of farmed crocodiles is valuable, and croc meat is also popular. However they are protected now so it is illegal to shoot them. Habitat destruction is now their worst threat, particularly with more and more people moving to northern Australia. It is important to respect that this is croc country. We don't want to lose them - they are a very important part of both freshwater and saltwater ecosystems, and being top predators they keep the habitats clean and the ecosystems in balance. Australian Saltwater Crocodiles are found in northern Australia, in the oceans, along the coasts, in the river mouths and rivers, and even in freshwater lagoons and billabongs hundreds of kilometres inland from the coast. 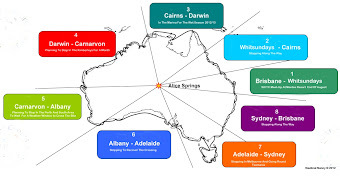 They are also found around Torres Strait islands, and islands of the Great Barrier reef (GBR). It may first seem like it is very hard to see them. Like any animals, they like to be away from the noise and development.. But if you take your time and go watching in swamps and along the rivers in northern Australia, you can see them. Not I matey..............! Just be careful and stay away from them to avoid a crocodile attack. Salties are an extremely efficient killer and while in croc country, there are some things you have to remember to make sure you don't get into any trouble. 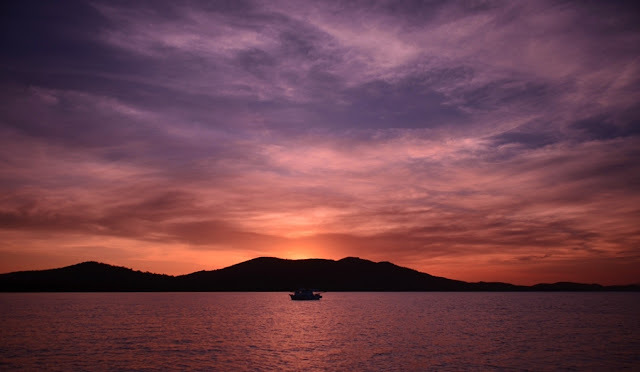 We all know stories about crocs taking a drunken swimmer, attacking boats and /or dinghies, biting into tents at night; that doesn’t happen often, but it does happen - more often than attacks by many other Australian dangerous animals. The man eating crocodile is definitely a deadly animal, and while you don't need to be paranoid about it, (I am paranoid) you need to be croc-wise. * Prevent a crocodile attack by taking crocodile warning signs seriously. * Even if there is no sign, there may still be a crocodile. 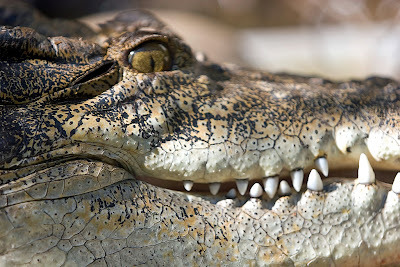 Crocodiles are prolific, they have no fear of man as they are protected and have not been shot at for over twenty years. However, if some common sense rules are applied they are not a problem. DO NOT set up any sort of a routine. DO NOT feed them or throw scraps over the side. DO NOT clean fish on board and throw the frames over the side, take them well away from the boat to dispose of them, remember that they are wild animals. DO NOT leave a dinghy hanging out the back, especially at night, in particular a rubber duck. Either tie it alongside or lift it out of the water. The crocodiles seem to have a love affair with outboard motors and rubber ducks. More than one boat has woken up to find the tender and outboard under water. A torch shone around at night will show a number of red dots. These are not landing lights for UFO’s but are the eyes of crocodiles watching. They will watch for some time before doing anything, they have also been known to attack dinghies. I also know of more than one instance where one has tried to come over the stern. There is a false belief that crocodiles cannot run or jump, believe this and you will be dinner. They can do both very well and can run at 26 kph can you? They are territorial so retreat if necessary. Salties have been seen 20 miles out at sea on coral cays, islands, and travelling with the tide. As a general rule of thumb if there are mangroves there are crocodiles, just because you cannot see them does not mean that they are not there. * If you fish, stand on a river bank that is higher from the water. Don't stand right next to the water, or on branches that hang over the water. * Do not clean fish near the rivers and never throw your fish scraps in or near the water - it will attract them. * Don't camp on low river banks - camp well away from the water. *Do not leave any food scraps around your campsite. I have read stories where crocs got out of the water during the night to get them. Pretty scary while you are in the tent..
* If you are in the boat, prevent a crocodile attack by keeping yourself and your arms inside the boat. Don't dangle over the sides. * Do not harass or feed or interfere with wild crocodiles. * A crocodile slide mark means the croc may still be around..
* Be more careful during their breeding season. The breeding season of Salties is during the Wet season (October to April), but can start as early as in September. This is when they, like other animals, can be particularly active and aggressive. Not that you don't need to be careful the rest of the year, but this is the time of the year when you need to be extra careful. They often nest in the grass on river banks so you need to keep even farther away from the rivers than the rest of the year. And that applies to ALL rivers (inland and coastal), coast lines and islands in Cape York. While they are called saltwater crocodiles, these animals can easily live in fresh water as well. And they do travel up the rivers. They are very territorial animals, so they need a lot of space and if there is free space they like to take it up. If the water is clear you can see that there are no crocs but do never wander into murky, dark water that you cannot see through! It is the biggest mistake to think that they are not there because you have never seen one, or there has been no crocodile attack. The dangerous crocs are the ones that you cannot see. They hide in murky water until their victim is close enough and then they are incredibly quick to attack. They jump and grab the victim literally in a second. They pull their victim under the water and let it drown - they don't eat their prey alive. The tiny community of Portland Roads is a beautiful place with a picture perfect beach lined by palm trees, a boat ramp and in fact not so much more, except for about ten private houses on the hillside, a couple are rented out for holiday makers and a cafe. Near the boat ramp, which is down the road a little way from the beach, is an Edmund Kennedy expedition monument. In 1848 the Assistant-Surveyor of New South Wales, Edmund Kennedy, led an expedition to explore Cape York Peninsula. In the previous year he had discovered the Thomson River and established that the Barcoo River was part of Cooper's Creek. Arriving at Rockingham Bay (north of Townsville) in May, Kennedy's party, after much privation and toil, reached Weymouth Bay, where they established a depot. Kennedy, with four others, Costigan, Dunn, Luff, and a native, Jacky Jacky, left this depot in an endeavour to reach Cape York, where a relief ship was expected. Kennedy and Jacky Jacky continued north, after leaving the others at Shelburne Bay. Only the native reached Cape York, for in a skirmish with blacks Kennedy was killed. Jacky Jacky guided the ship's relief party to Shelburne Bay, but Costigan, Dunn, and Luff had perished. At the Weymouth Bay depot, only two survivors were found. On the beach front are the Out of the Blue Cafe, Portland Roads Beach Shack, and Portland House and Boat Charters. You can drop into the Out of the Blue Cafe for lunch between 10am and 2pm. If you want to visit for a dinner, you have to make a booking. They tell me the food is very yummy there but buy the time we got ashore the place was closed and there was not a soul to be found, not anywhere. MrJ and I did see a public pay telephone straight across from the landing beach and a little further down the road, which is sealed not dirt, is a water tank with a good tap and a public toilet block on a modern septic system. Portland Roads is a great place where fishermen take their boats out and I heard the fishing is good. The beachfront shoals out a fair way fringed by a lot of muddy mangrove areas; I guess you could also try mud crabbing but there is one other thing besides the crocs, the sandflies. With lots of insect repellent it's a nice place to fish, gather oysters, watch birds..................or just sit and do nothing. I like the sit and do nothing! Just to sit and watch out for the big deadly crocs is about all I can do.